Originally the first Santana album (working title Freeway Jam) was scheduled to be released in the first part of 1969 but due to inexperience with studio recording and the unhappiness about the structureless compositions Santana postponed it. And when Santana went back to the studio they had fired conga player Doc Livingstone who was replaced by the excellent Jose Chepito Areas from Nicaragua (like Bianca Jagger..). 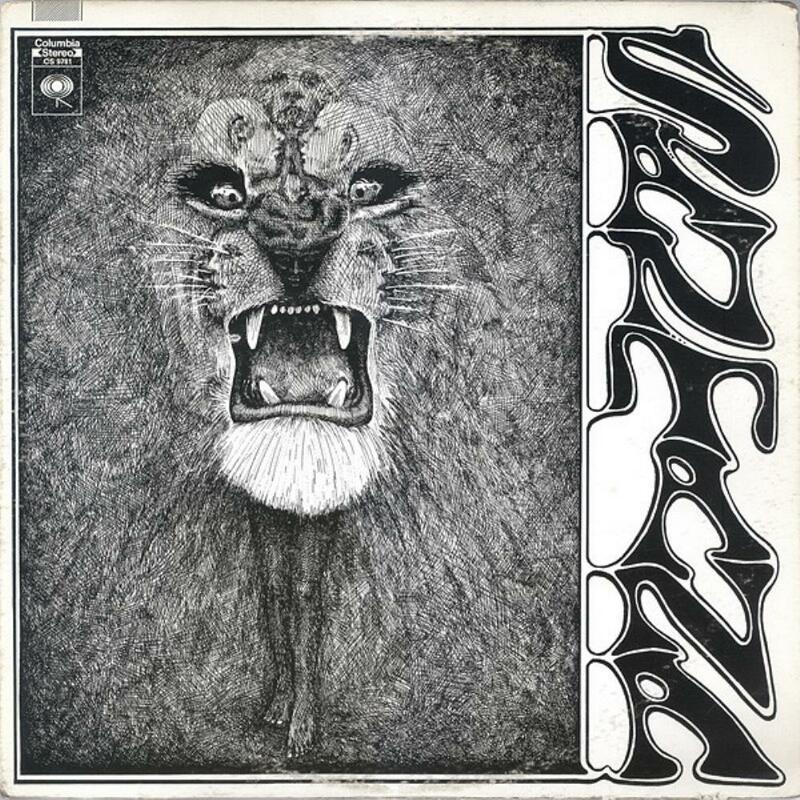 For me the eponymous debut LP by Santana is one of the most exciting debut releases, how sensational it must have been to listen to this album in late 1969! Although not every song is at a very high level (Shadows Of Time, Savor and You Just Don't Care are very pleasant 'fillers'), most compositions still blow me away, what an exciting fusion of blues, rock and Afro-Cuban: powerful, omnipresent Hammond organ and fiery, often howling guitar in the swinging Waiting, a sultry climate with fiery guitar in Evil ways, spectacular Hammond organ work in the very rhythmic Savor, great interplay between Santana his sensitive guitar and Rolie his bluesy piano in Treat, another swirling Hammond organ solo in You Just Don't Care and finally the 'Woodstock highlight' Soul Sacrefice featuring propulsive congas, adventurous drumming and a great duel between Santana his guitar and Rolie his Hammond organ, accompanied by exciting percussion. The debut LP sold very well and Santana and his band were hot. The story goes that Jimi Hendrix asked him or he could join Santana, he was so thrilled about the blend of Afro-Cuban percussion and the rock and blues. But Carlos simply answered "What the hell I should play...?" but another problem for Carlos was also that Jimi was so much into hard drugs. Anyway, soon Jimi died and Carlos was hailed as a new guitar hero.